Zzz…How to Get a Good Night’s Sleep? Over-the-counter and prescription drugs, as well as herbal remedies, promise relief from insomnia. Find out about the pros and cons of different sleep aids. There are any number of situations or conditions that may cause you to lose sleep. Anxiety, stress, depression, or just being worried or anxious can greatly affect the quality of your sleep. Some medications, including corticosteroids, thyroid hormones and certain blood pressure medications may also lead to changes in your regular sleep pattern. Physical or medical conditions such as a headache, allergies and upper respiratory conditions or conditions causing pain can impact your sleep. Whatever the cause, losing sleep can disrupt your life and even create serious health consequences. All sleeping aids, whether prescribed, over the counter, herbal or all-natural come with the risk of side effects. Many times, sleep restlessness can be solved by small lifestyle changes. If you think you’ve tried everything but you haven’t done something on the following list, then keep trying: Avoid caffeine or other stimulants; regular exercise like taking a walk; no daytime naps; establishing a regular sleep schedule; no using electronics with a screen (your smartphone or tablet) for an hour before sleep; sleep meditation audio tapes; and a cup of warm milk. But if these — and counting sheep — aren’t working for you, there are a number of products available to help you get a better night’s sleep. Most of the over-the-counter (OTC) sleep aids you’ll find at your local drug store are really just antihistamines, such as Benadryl (diphenhydramine), but under a different name. They are used for sleep because, as a side effect, they make you drowsy. because it is an antihistamine it will also cause daytime drowsiness, dry mouth, blurred vision, constipation and urinary retention. Diphenhydramine is found in ZzzQuil and Nyquil, as well as Advil PM, Motrin PM, Aleve PM and Tylenol PM, where they are combined with a pain reliever. It’s often the ingredient found in store brands or generics as well. Unisom, another OTC sleeping pill, contains doxylamine, also a sedating antihistamine with the same side effects as the previous antihistamine: daytime drowsiness, dry mouth, blurred vision, constipation and urinary retention. Antihistamine-based sleep aids aren’t recommended for people who have certain medical conditions including closed-angle glaucoma, asthma, chronic obstructive pulmonary disease, sleep apnea or urinary retention. Some of my patients want to try an herbal or “natural” product to promote sleep. The most common ones, melatonin and valerian root, are available either alone or in combination with any number of other herbal or homeopathic ingredients including chamomile, hops flower, passion flower, GABA or 5-HTP and others. There are a number these types sleep aid products that are marketed with long testimonials of how effective they are. There are even a few studies that indicate therapeutic benefit, though many other studies have not supported the same benefits. Melatonin is a naturally occurring hormone that helps control your circadian rhythm or daily sleep/wake cycle. It’s important to understand that melatonin is a sleep and “body clock” regulator. Supplements seem to help those with daily work shift schedule changes or helping to establish a day and night cycle in those who are blind. It is mildly beneficial in treatment of long term insomnia or sleep disorders. Melatonin is not without potential side effects including headache, depression, daytime sleepiness, dizziness, stomach cramps, and irritability. There is also the possibility of drug interactions with other sedative drugs, birth control medications, caffeine and it might even decrease the effectiveness of diabetes medications. Valerian root is an herbal product that may reduce the time it takes for you to fall asleep and may improve your sleep quality. Although valerian is generally considered to be safe for short-term use it can cause side effects including headache, upset stomach, decreased alertness, excitability, heart disturbances, and even insomnia. It may also interact with alcohol, prescription tranquilizer medications known as benzodiazepines and other sedatives. It may also interact with other medications that are metabolized in the liver. If you’ve already tried lifestyle changes and a few of the non-prescription products available without success, then it’s advisable to discuss the problem with your doctor. Based on your diagnosis, you might be prescribed a prescription medication to promote better sleep. But you should know that many drugs that are prescribed for sleep aren’t even FDA approved for that purpose. Sedative-hypnotic drugs such as Ambien (zolpidem), Lunesta (eszopiclone) and Sonata (zaleplon) are FDA approved for sleep disorders, but for short-term use only. If you use them nightly, you run a much greater chance for side effects, possible drug interactions and dependence on them. If you take one of these medications on a nightly basis, your body becomes conditioned to using the medication, making it difficult to fall asleep without it. Benzodiazepines have been used to treat sleep disorders and anxiety for years. But only five of them are FDA approved for sleep: Halcion (triazolam), ProSom (estazolam), Restoril (temazepam), Dalmane (flurazepam), and Doral (quazepam). They’re considered significantly more risky since they cause drowsiness that can carry over to the next day which may impair driving or job performance. They also have a higher potential for drug dependence since you can develop tolerance to their effect and need to keep increasing the dose. Your doctor may suggest taking an older antidepressant to help you sleep. Now, you might say you’re not depressed and don’t need an antidepressant. But these medications can be used to help you get to sleep in doses much lower than used to treat depression. Desyrel (trazodone), Elavil (amitriptyline) and Sinequan (doxepin) are the most common ones used to induce sleep. Using an antidepressant for sleep has safety advantages over other medications since they are non-addictive, don’t produce a physical dependence or tolerance and have a lower incidence of side effects when used in these lower doses. 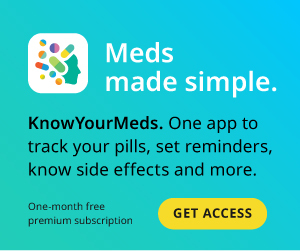 However, it is important to keep in mind that antidepressants have a boxed warning — the strictest warning the FDA can require for a drug that highlights potentially serious or even life-threatening adverse events — that they are associated with an increase in suicidal thinking in young people. It’s a good idea to not take sleep medication every night. It’s reasonable to use an “as needed” dose for a few nights to get some good rest, and then try a night or two without the medication.